The building complex has various facilities. These include 16 lecture halls, 24 offices, 2 libraries, 4 store rooms, 2 computer laboratories, staff and students’ washrooms as well as those for the disabled. Four of the lecture rooms are 120 – seater each while twelve of them are 100 – seater each. 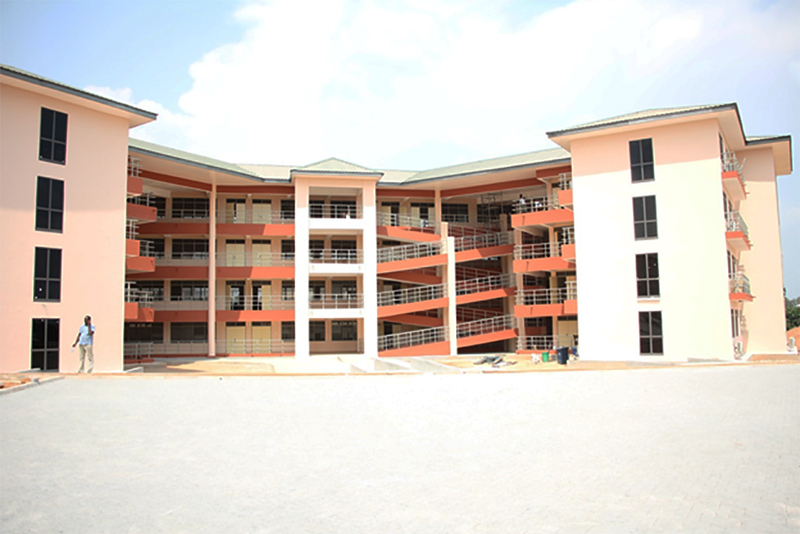 In his opening remarks after an inspection of the building, the Acting Vice Chancellor of KsTU Prof. Mike A. Acheampong indicated that it was heartwarming to handover the project to the University. He recounted the historyof the building where initially, a single-storey design was presented at Academic Board meeting for discussion. He intimated that eventually, the Academic Board opted for a four-storey instead of the initially suggested single-storey. Drawings for that were subsequently submitted and accepted. Prof. Acheampong advised that users of the facility should be mindful of the culture of maintenance so that the University gets value for money. He was grateful to the Contractor Mr. Peter Mensah and the other staff of the University for their various inputs especially, the staff of the Faculty of Built and Natural Environment.